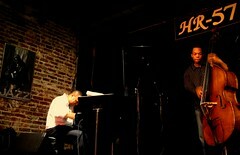 If you love Jazz, you’ve been to HR-57 on 14th street. It means you probably also heard the news this weekend that they’re moving out of their location on 14th and are headed to greener pastures on H Street NE at 9th Street, according to the City Paper and owner Tony Puesan. The non-profit focuses on the preservation of Jazz & Blues and takes their name from the House Continuing Resolution 57 that Congress passed to honor the uniquely American musical artforms. They’ll be in their new home come January.